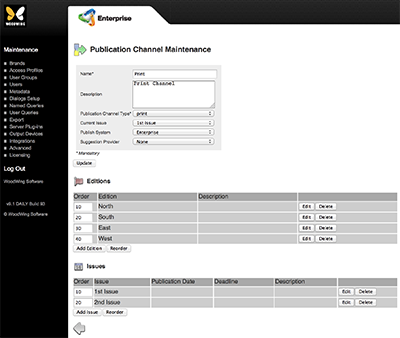 The Publication Channel Maintenance page in Enterprise Server 9 holds all the settings for a Publication Channel and allows you to manage Issues and (optionally) Editions. 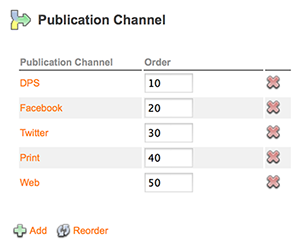 Figure: The Publication Channel Maintenance page for outputting to print. Step 1. On the Brands Maintenance page, locate the Publication Channel section. Figure: The Publication Channel section on the Brands Maintenance page.